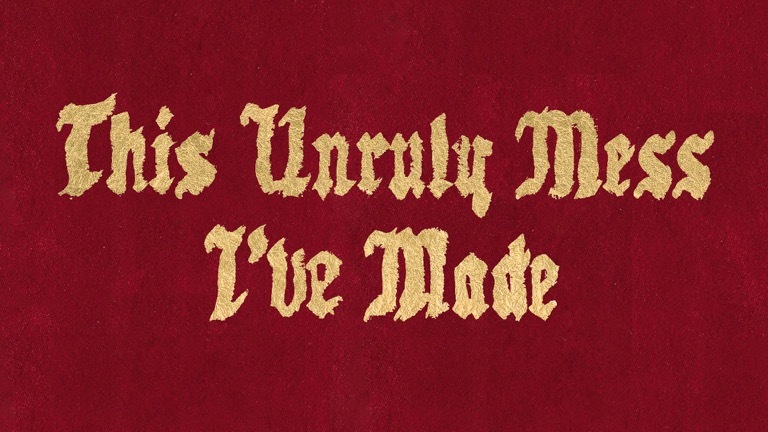 Macklemore and Lewis try to fight off the sophomore slump with the album, but unfortunately the title was a rather apt description of the album as a whole. It is a mess, to put it simply, jumping back and forth from deadly serious to laughably corny, without taking a stop for a breath in between. If you’ve listened to them before, none of these sounds should feel unfamiliar to you. In fact, most of them will feel too familiar, like you’re getting a sense of déjà vu as you listen to the album. You have your “Thrift Shop” in “Downtown”, your “Otherside” in “Kevin”, and your “And We Danced” in “Dance Off”. And quite frankly it's disappointing to see. The album starts with a scathing attack on the culture of the awards show, as he guides us through the experience of winning an award at what might be the 2014 Grammy’s. He seems intent on entrenching himself within hip hop culture, telling us that he is relevant and that he is here to stay. But he can’t seem to shake the success of The Heist. Instead it looms over TUMIM throughout the entirety as he desperately tries to assert that he is still independent, still away from all of the corporate influence he has tackled so many times. But it all falls flat in front of the obvious attempts at generating Top 40 hits and trying to hit those same high notes as he did before. There are a few moments on this album where he abandons his trademark sound and those moments stand out in that they are genuinely fantastic. In the dark and simple “St. Ides”, he talks about his history of substance abuse, and in “Bolo Tie” he teams up with YG in what might be one of the most unlikely rap pairings of all time, dropping most of the production in favor of a slowed down and heavier tone that really grabs your attention. The problem is that these songs are sandwiched in between the Macklemore tropes that he can’t seem to escape from. He bounces back and forth from joke raps to woke raps, trying to educate his audience about the evils of pharmaceutical companies while spouting lines about “Deez nuts” that make you cringe when you hear them. He is at his strongest when he allows you to interpret his music through your own lens, but he seems to forget that with “Kevin” and “White Privilege II”, both of which try to chase the success of “Same Love” in spreading a message he believes in. In “Kevin” he once again tackles oxycontin abuse, a topic familiar to many of his fans, but this time, he weaves an anti-pharmaceutical message along with his raps, with a heavy handed hook by Leon Bridges, who mournfully croons, “Doctor, please, give me a dose of the American Dream / Put down the pen and look in my eyes / We’re in the waiting room and something ain’t right / All this is on you, we’re overprescribed.” There is no way for the audience to interpret this in any other way than the one Macklemore wants you to hear. His message is the only message. It’s a seventh grade book report delivered as spoken rap on top of an overproduced beat. The music doesn’t let you feel. It tells you how to feel, from all of its aching strings and pianos dripped heavily over the album. This lack of restraint is evident everywhere on the album, especially with his joke tracks, each of which is attempting to become the next internet ear-worm that will infect us for the rest of the year. His cool dad track, “Growing Up”, which has been out since last August, begs us to understand that he’s different. He gets it. He’s cool. He wants his kid to get in trouble, cause mischief. “Listen to your teachers / but cheat in calculus”. “Let’s eat” simply doesn’t belong here. It has the feel of a joke freestyle tossed together in between sessions that someone forgot to remove. “Brad Pitt’s Cousin” starts with him bragging about his cat and manages to drop in a “Deez nuts” reference before the end of the runtime. Ryan knows how to produce a great album. Macklemore knows how to deliver a line. But it seems like they didn’t think everything through. Its well put together. Professionally constructed. It hits a lot of different notes that are impressive. But it does it while managing to fail lyrically, which is unfortunate. At its best when it reigns itself in, in these quiet, personal moments, the album will stagger you with its impact. 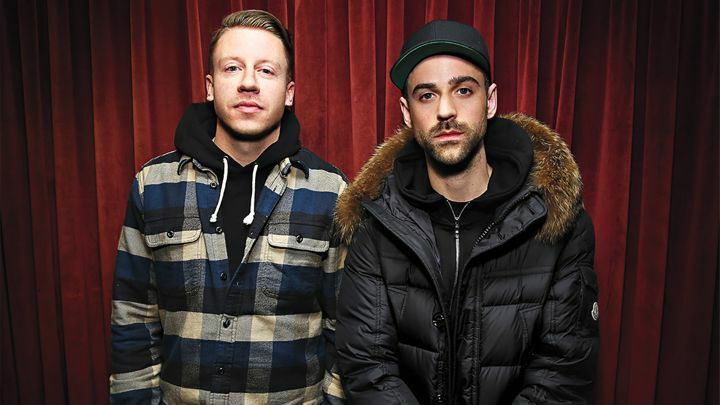 But as he tries to regain his street cred, Macklemore drops the reigns and the album quickly loses control. It’s unruly, unrestrained, and messy. It’s a disappointing followup to The Heist, a great album in its own right, but TUMIM falls short of achieving the duo’s former glory.